Across the world on the first day of each week, Christians gather to pray, partake of the Lord’s Supper, perhaps baptize new members into God’s family, read the Scriptures, hear a sermon, and sing. The style of each of these parts of a worship service vary from place to place and tradition to tradition, but when you see these things taking place, you’ll know you’re with the church on the Lord’s Day. The gathered worship and liturgy of the church is key to our formation as the people of God, but too often, an element is missing. The Chalmers Center seeks to equip churches to walk alongside people who are poor, but worship services that fail to reinforce our understanding of God’s heart for those suffering poverty and injustice can make it harder for Christians to think of this as a regular part of practicing their faith. 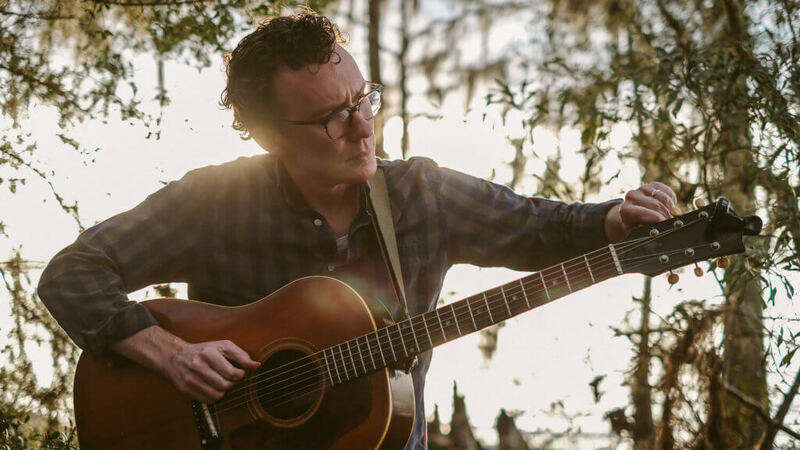 Alabama singer-songwriter Wendell Kimbrough is working hard to change that, calling Christians back to lament and hope, and writing music they can use to bend their singing back toward the full range of worship God calls forth in His Word. Wendell recently sat down with Chalmers staff member Justin Lonas to talk about his music and the ways we can shape our hearts to love our neighbors through song. Justin: How did you get into writing worship music? Wendell: Slowly and reticently. Believe it or not, when I finished college, I wanted to be Brian Fikkert! I didn’t know Brian’s name then, but I wanted to be a scholar or a writer and talk about poverty and justice and the church. I also felt like an academic career would be really comfortable for me. It didn’t feel risky to me. Music felt like the opposite of that to me—it felt like the Wild West, with no rules. Several years ago, I spent a year worshipping at an African Methodist Episcopal church in Maryland while I was part of a fellowship program in the D.C. area. I’d never regularly worshipped at a black church before, and I got to be a part of their family for this season. They really welcomed me, the music was very simple and very powerful, and the congregation really sang. And I was this intellectual Presbyterian kid, disconnected from my emotional life. I wouldn’t have said it this way at the time, but I was really longing for worship that felt relevant to my emotional life, that could help me access my heart. And still actually, to this day, most white worship services don’t do that for me—there’s some kind of special grace there [in the black church] for my heart. After about seven years of trying to make it as sort of a secular singer-songwriter, and working part-time as a worship leader, I started to want to have songs that didn’t exist. There just weren’t any songs that had anything to do with the kingdom. So I started trying to write songs that were specifically trying to bring some of those kingdom parables into song in the way that we were preaching and talking about it. The other thing is the Psalms, which was a later discovery here through my church, where the church asked me to write through Psalms and write a psalm every week for our worship. And so I did that for three years, and that’s given me my vision for my career at this point. Justin: What’s unique about worship songs and hymns for shaping our theology and practice? Why do we sing? Why do we sing what we sing? Wendell: I like to say that singing is a gymnasium for our hearts. And it’s literally a gymnasium in that singing involves every aspect of our being. It’s an intellectual thing—it engages your mind in the text—but it’s integrative, because it connects your left brain and your right brain and it causes you to feel things because music has this access to our emotions. Sometimes against our will, music moves us. But then it’s so very embodied as well, because you have to breathe and you have to get your diaphragm to work, and if you’re going to do it with any kind of vigor, you have to stand up. And this whole being, this whole flesh and spirit thing that we are, comes to the task of singing. Justin: So singing is a first step toward action? Wendell: Yeah! And if you stick with the gym analogy, what you do when you go to the gym matters a lot. If you go to the gym and for an hour you just do bicep curls with your right arm, you’re going to be deformed. You will have a formative experience, but it will not be good for you! A lot of our churches can tend to be like somebody who goes to the gym and only works out one muscle group. We only like to sing positive songs, and so we teach people to express positive emotions. But inadvertently, this whole other side of their body becomes weak and kind of impotent. So, in this gymnasium, the equipment should be the Psalms, because if you’re signing all the Psalms, you’re going to have a whole diet for your spiritual, physical, emotional, well-being. Your theology is not going to get lost in health and wealth or prosperity, but you’re not going to slide off the wagon into super morose “the world’s going to hell in a handbasket,” “just waiting for Jesus to come back” territory either. The Psalms call you to celebrate and call you to claim God’s victory in the here and now. The Psalms are a great “workout routine” for our hearts. They teach us how to be emotionally mature. Justin: So why do you think, to stick with the gym metaphor, our churches keep “doing bicep curls?” Why do we have such one-sided worship? Wendell: Because we just want to look good at the beach! Seriously, though, there’s a difference between a workout that just makes you look good and a workout that makes you better at doing the things that your life requires of you. When everybody at church has got a smile on and looks like they’ve got it together, it looks good. It looks good for your church, and it feels good as a leader when beautiful, attractive, smiling people all come to your church. Beyond that, there’s a whole tangent around race and the legacy of slavery, Jim Crow, and white supremacy and the ways that has influenced our church culture. Justin: Unpack that for us. Is this history reflected in our music? Wendell: You’d have do “theological jiu-jitsu” to get your worldview to hold together if you had humans chained up doing your work for you for free. And I think one of the things you do to get through that is that you basically just try to lose touch—you have to numb yourself to justice. You have to numb yourself to lament, or develop such a highly specific definition of lament that, for a lot of our churches, the only thing you can lament is your personal sins. And that’s just not at all the Psalms! I was actually shocked, as somebody who grew up in the Presbyterian Church in America, how few Psalms of confession there are. I mean, they’re there, and they’re important—I love Psalm 51—but there aren’t that many Psalms where the whole thrust of the psalm is “I have sinned; let me confess my sin to God.” There are way more that are like, “God, whom I praise, do not remain silent, for people who are wicked and deceitful have opened their mouths against me…I am poor and needy, and my heart is wounded within me” (Ps. 109). If you’re the enslaver, you recognize in your spirit that this Psalm does not belong to you. It belongs to the people you’ve sinned against and oppressed. And you can’t sing that song—it will catch in your throat. It dignifies the enslaved. At some level you must realize that God wrote these Psalms for the people you are oppressing. It’s threatening to a worldview that has grown comfortable with injustice. Justin: So, should people in the middle-class, majority culture sing them? Or rather, why should we sing them? Wendell: There’s a bunch of reasons, but two main things come to mind. One is because they humanize the people who those Psalms are for. They help us see in the other the dignity that God sees in them. At some level or another, they strengthen our empathy and our pathos, our ability to see and care about the struggles of people who aren’t in the same boat we’re in. I don’t know if you’ve ever done a poverty simulation, but one of the things that comes through in those is that you get the feeling that the game is stacked against you, that the system is out to get you. I hear that in a lot of the Psalms. “Rescue the weak and the needy; deliver them from the hand of the wicked” (Ps. 82:4). “I’m trying to do the things that God has called me to, but these people over here are backstabbing me and trying to keep me from flourishing.” That’s a theme in so many of the Psalms. I think it helps us dignify and see that God cares about the people that those Psalms more immediately apply to. But then also, pain and suffering are inescapable, and you can be wealthy and in a place of privilege, and be white upper middle-class, and your life is still full of pain, still full of aching and longing for things to be made right. So when you ignore those Psalms that might at first not seem to fit your life, you kind of join in the conspiracy to keep you numb to the pain in your own life. A lot of American culture is about numbing and distracting from pain. I’ve started to learn in the last few years that the only way to grow through pain and let God do His work in you through it is to look at it squarely—pay attention to it, not ignore it, to tell the story of pain and discover its origins, and bring it out of darkness and into the light. That’s how you can heal and that’s how you can work through it. I think when we don’t sing those Psalms of lament, we’re really stunting the growth and the healing of our people. Even if our people show up on Sundays and look like they’ve got it all together. Justin: So when we close ourselves off to that, we’re in effect telling God that we don’t need Him? Wendell: Exactly. When you lament, you talk to the only one who can really do anything about it. And in that sense, you’re acknowledging God’s sovereignty, you’re also acknowledging that he can handle your pain, and you’re acknowledging at some level or another that you trust Him, even if you’re saying, “God, I’m not sure I can trust you right now,” or “I’m mad at you.” in the act of going to Him rather than turning away from Him—that’s biblical lament. Justin: What simple next steps can any church anywhere can take to start to examine themselves and start to move in a healthier direction in how they use song in worship? Wendell: Well obviously, you can buy my records and listen to them 20 times a day. Seriously though, I like to say, look at the catalog of songs that your church sings. For most of us, that’s probably a mix of Protestant hymnody and the CCLI top 100 worship tunes. Think about what feelings and truths are being expressed, and then compare that to the Psalter. Just see what’s missing. For most of us, lament is the huge elephant in the room or the elephant that’s not in the room that should be. 40% of the Psalms have some sort of lament in them. Most churches have one or two songs that express some kind of lament out of the maybe 100 or 150 songs that they sing on a regular basis. To listen to more of Wendell’s music, or to find out when he’ll be putting on a concert near you, visit https://wendellk.bandcamp.com/. Get poverty principles delivered to your inbox! Sign up for our Monthly Roundup and get more articles, links, and resources like this. 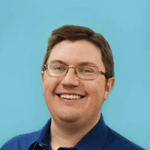 Justin joined Chalmers in 2016 after serving as a writer, editor, fundraiser, and communications manager for for 10 years at another ministry organization. He first encountered Chalmers through reading When Helping Hurts with his church missions committee in 2009. Justin and his wife, Rachel, have four young daughters. He enjoys the outdoors, literature, writing, and cooking for his family and others. He holds a B.A. in communications from Bryan College (2006), and is a current M. Div. student at Reformed Theological Seminary in Atlanta.